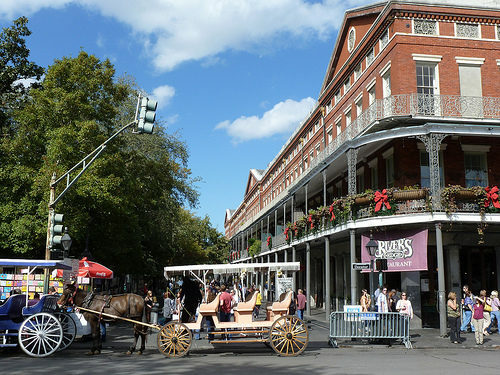 A good fare for nonstop service to New Orleans. The regular economy fare at $145 allows for advance seat assignment and a normal size carry-on. The $105 fare is a Basic Economy fare. American’s Basic Economy fares do not allow for any advance seat assignment nor changes and boards last. Valid for travel until early-August 2019 for Tuesday, Wednesday and Saturday departures. Availability is limited. Must purchase at least 14 days in advance of departure. Our ITA instructions below will show prices of $105 for the Basic Economy fare. 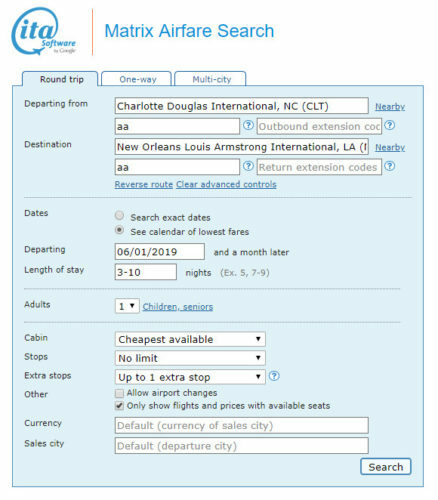 See our instructions in “How to Buy Airline Tickets” to learn how to book the regular economy fare. 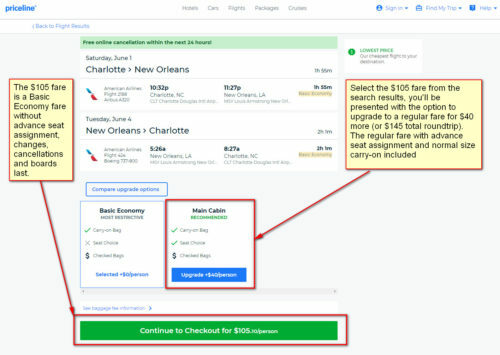 From the search results, select the $105 basic economy fare, after which you will have the option to upgrade to a regular fare at $145. The regular economy fare comes with advance seat assignment and includes a normal size carry-on.